Welcome to Married Life: My Favorite Skincare: Moody Sisters! 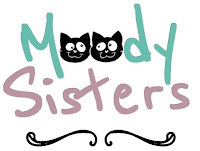 I have known the lovely ladies (and their husbands) behind Moody Sisters Skincare since high school. That's what happens when you're from a small town/valley! In the last few years they got fed up with all the chemical laden skin care products available on the open market and started creating their own, right in their kitchen. Once I found out I could get these awesome non-toxic, high quality products locally I quit buying anything else. They've had a few quirks along the way, but they've been in business long enough now that you will not get an inferior product in any way when you buy from them! Check out the haul I picked up last night! Now that I'm on the downward slide to 40 (eek!) I've realized that my skin looks and feels better when I take care of it. I know the wrinkles and other issues are not going away no matter how many fancy creams I use so I'm not putting something toxic on my face just in the hopes of looking younger than I am. But taking care of my skin means that my makeup goes on better too! Have you ever put makeup on dry skin? It's not pretty. 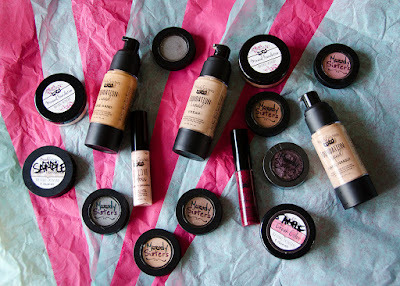 Speaking of makeup, Moody Sisters contracts with a Midwest company (because makeup is still complicated, yo!) for high quality makeup that also does not have any toxins in it. ALL the ingredients are listed right on the label. I'm kind of late to the makeup game and I'm horrible at guessing at colors, so lucky for me Whitney loaned me all her samples for the weekend so I can find the right products for me. But I've already been using their mascara for years and some eye shadows in fun shades. I hope you'll check out my friends' shop and see what interests you! It's not drugstore prices, but these are not drugstore products and they are still totally affordable and last a long time. Plus, you'll feel better about putting safe products on your skin. For new customers you can use my special code MARRIEDLIFE for 10% off your first order of any size. And, if you join their newsletter they are always having sales and specials. Or follow them on Facebook as well. Come this Monday actually, the first 300 newsletter subscribers to order will get a free sugar scrub just for the price of shipping ($15 value and they are the best sugar scrubs I've ever tried, not so oily that they leave a slick sheen in the bottom of your tub and actually lather a bit). You can see the new one I picked up in my photo up top, it's the short squatty bottle. There are so many other great products the Moody Sisters make and sell, some seasonal items, and some great bundles. Your skin will thank you for trying them! *I was not compensated in any way for this post, these are my friends and I truly love their stuff!